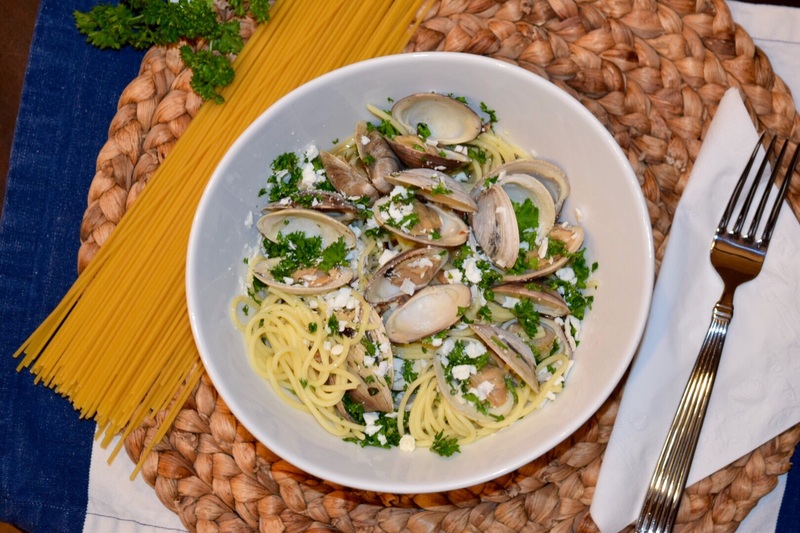 Spaghetti alle Vongole – T.W.O. Published on January 27, 2015 January 26, 2015 by T.W.O. 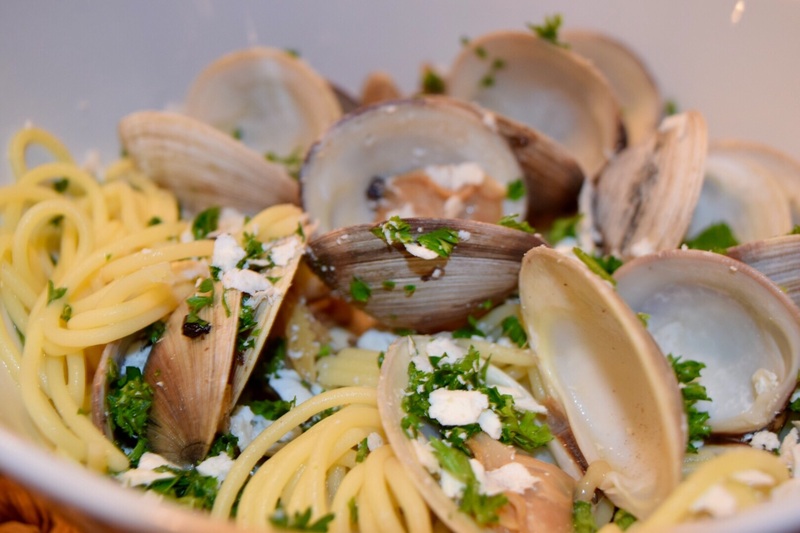 Spaghetti alle vongole is a dish that we love ordering while dining out. Typically pasta isn’t on the weekly menu at our house, but with this dish we made an exception. 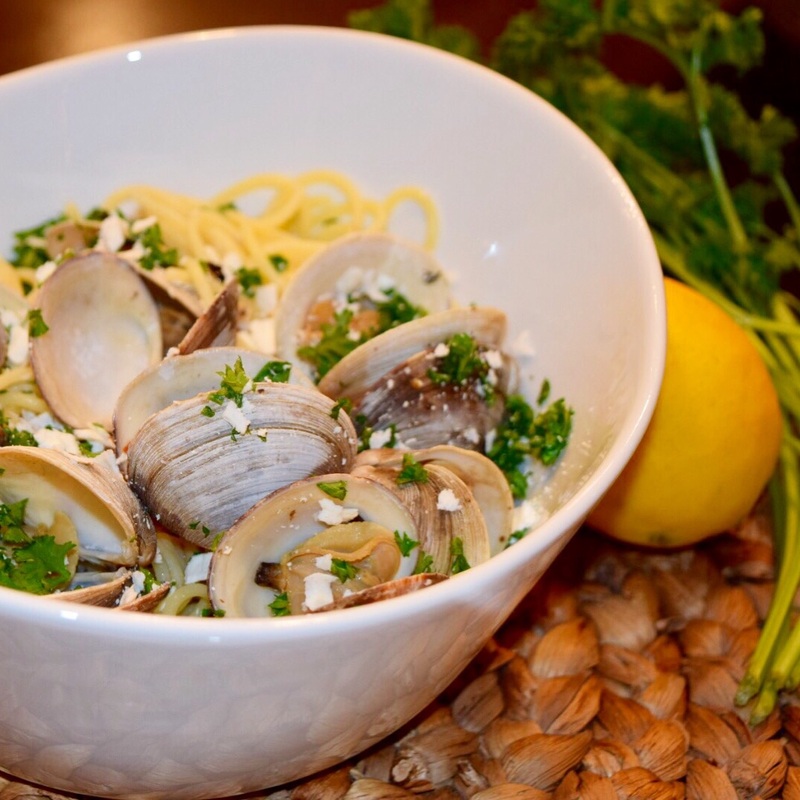 There is nothing like pasta loaded with a ton of clams, lemon juice, garlic and fresh parsley. 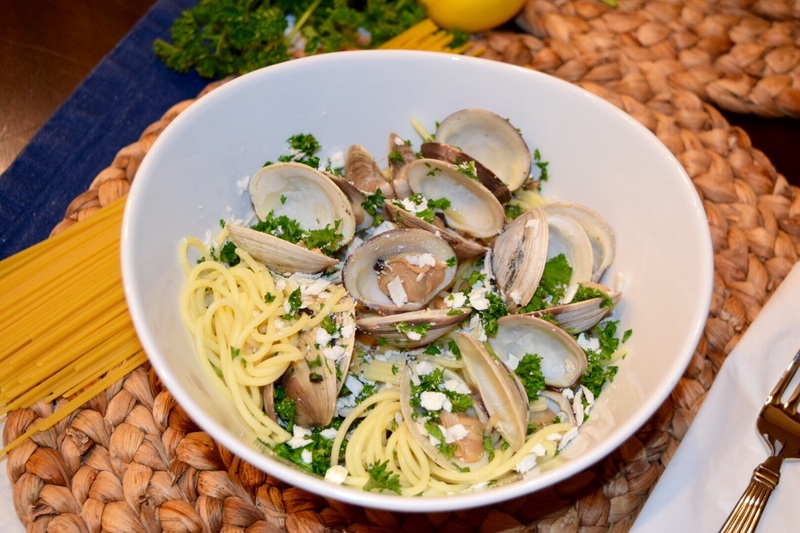 Some of the best spaghetti alle vongole we have had has been in Italy, Amsterdam, San Francisco and now in T.W.O.’s kitchen. 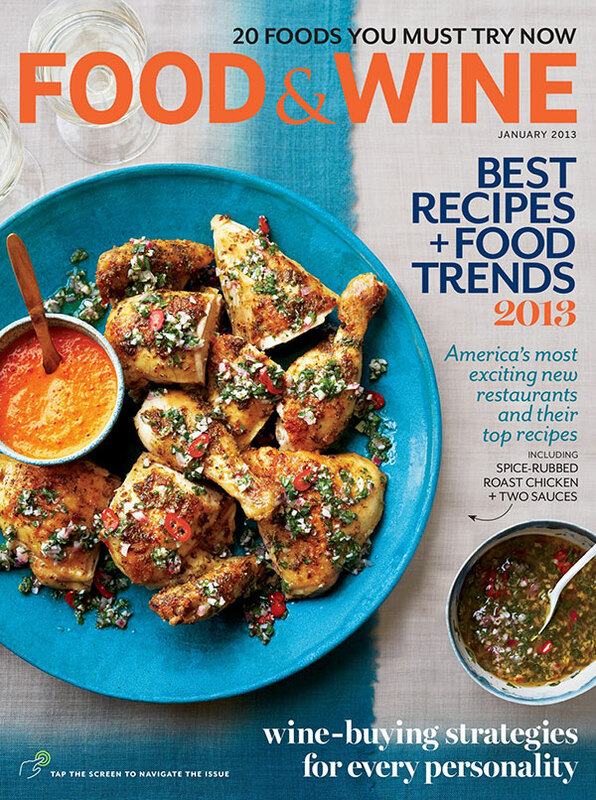 Check out how to make this recipe for your family and friends! * T.W.O. tried a gluten-free pasta which tasted exactly like regular pasta. Our guest didn’t even know it! 1. Wash and scrub the clams. 2. Cook pasta as directed. While the pasta is cooking prepare the sauce. 3. Heat the olive oil over medium heat in a deep sauce pan with a lid. Add the garlic and red pepper flakes and cook for 2 minutes. 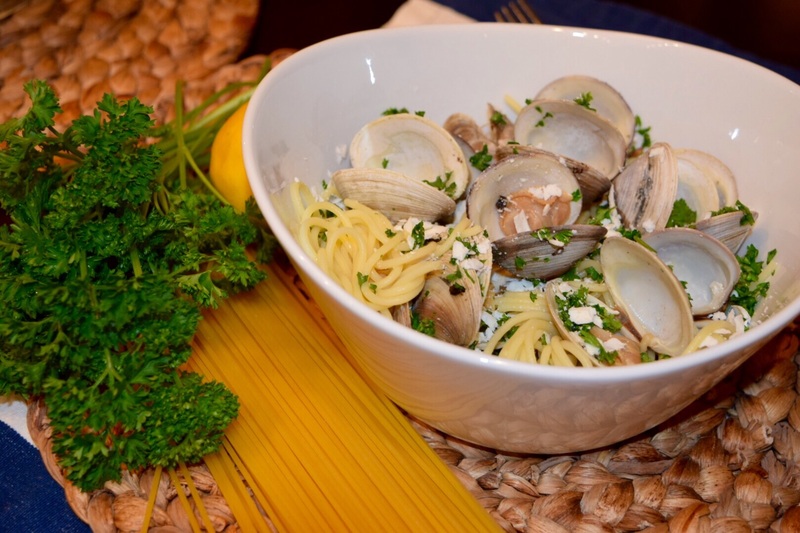 Add the clams, wine and lemon juice. 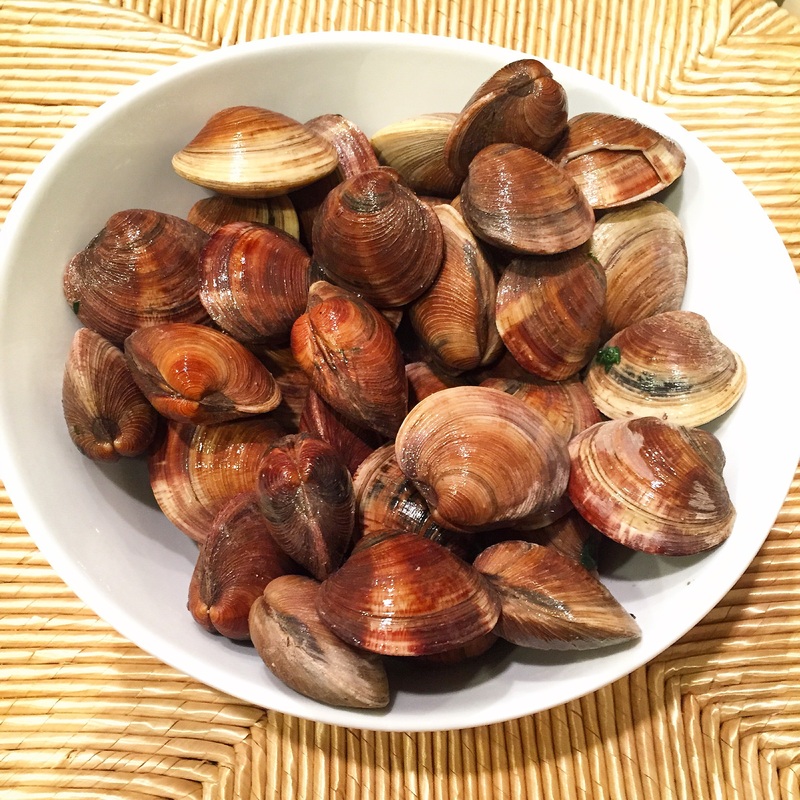 Cover and cook for 7 minutes or until the clams open. Discard any clams that do not open. 4. Over medium heat, add the drained spaghetti and season with salt and pepper. Toss carefully. 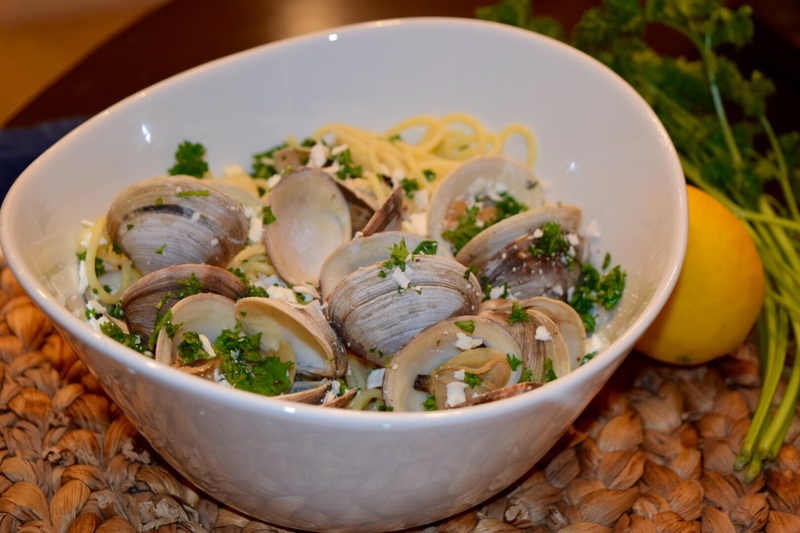 Plate the pasta and clams and top with fresh parsley and mizithra cheese. Sprinkle with lemon juice if desired.